At the 2018 meeting of the North Carolina Psychiatric Association, researcher Karen Graham reviewed evidence for adjunctive treatments that may help treat schizophrenia when added to antipsychotic medications. Graham endorsed omega-3-fatty acids, saying that they may delay the conversion to schizophrenia in young people at high risk for the illness. Data in chronic schizophrenia are more equivocal. Data on the effects of vitamin D3 in schizophrenia are mixed, but D3 is often low in patients with psychotic disorders, and supplementation with vitamin D3 in the general population has been associated with decreases in cancer and all-cause mortality. Graham indicated that in three studies vitamin B6 (pyridoxine) decreased tardive dyskinesia, a side effect of antipsychotic medication that is characterized by repetitive or jerky involuntary movements of the face and body. B6 also reduced the severity of akathisia or restless legs, which is comparable to the effects of 40mg/day of the beta blocker drug propranolol. Graham recommended a dose of 300mg/day of B6 that could be increased up to 600mg twice per day. The onset of effects usually begins by week three, and the cost ranges from 25 to 80 cents per day. The antioxidant supplement N-acetylcysteine (NAC) may also help. Graham described six studies that found NAC had positive effects on negative symptoms (apathy, blunted emotions, etc.) and/or cognition in patients with schizophrenia. The dosage in these studies was usually 2 grams/day for 24 weeks. The cost was 50 cents per day. Two 8-week trials of L-theanine (an amino acid found in green and black tea) at doses of 400mg/day improved negative symptoms and anxiety in 40 patients with schizophrenia. The rationale for the study was that L-theanine increases inhibitory neurotransmitters, modulates the amino acid 5-HTP and the neurotransmitter dopamine, increases brain-derived neurotrophic factor (BDNF), and may be neuroprotective after a heart attack or a traumatic brain injury. The cost is 40 cents per day. Graham reported that the supplement ginkgo biloba produced significant improvement in negative symptoms and total symptoms in eight clinical trials that included a total of 1,033 patients with schizophrenia. Doses ranged from 240 to 360 mg/day. These supplements (usually extracted from leaves of the ginkgo tree) have not been found to have many side effects, but they can reportedly increase post-operative bleeding. Gingko biloba supplements cost 20 to 80 cents per day. There is also at least one positive study of ginkgo biloba in tardive dyskinesia. Three of four studies of cannabidiol in schizophrenia have been positive (at doses of 600, 800, and 1,000 mg/day in studies that lasted four to six weeks). There are now six additional ongoing studies listed on the website clinicaltrials.gov. There is little of this diol component in regular marijuana, and the cost of pure cannabidiol is unfortunately an exorbitant $60 to $100/day. There is a positive controlled study of the herb ashwagandha in 66 patients with schizophrenia. Not included in Dr. Graham’s review was the prenatal treatment of women with phosphatidylcholine (900mg/day) followed by supplements in the newborn, which normalized an aspect of sensory gating known as P50 in patients with schizophrenia. Healthy individuals show a reduced response to an auditory cue when it is repeated 50 milliseconds after the initial cue. In people with schizophrenia, response to the repeated cue is not suppressed. This has been suggested by researchers Robert Freedman and Randal G. Ross in a 2015 article in the Shanghai Archives of Psychiatry as a possible primary preventive approach to schizophrenia. Pregnant women in their second and third trimesters should at least consume foods high in choline, especially if the fetus is at high risk for schizophrenia because of a family history of schizophrenia. Beef liver is very high in choline, providing 420mg per slice. Other animal products provide significant choline, such as eggs (120 mg/egg), beef (90mg/100g), chicken liver (85mg/liver), fish (85mg/100g), bacon (35mg/strip) or other pork, chicken (67mg/100g). Tofu (36mg/half cup) and cereal (22mg/half cup) are also sources of choline. In June, the US Food and Drug Administration (FDA) for the first time approved a drug derived completely from the cannabis plant. 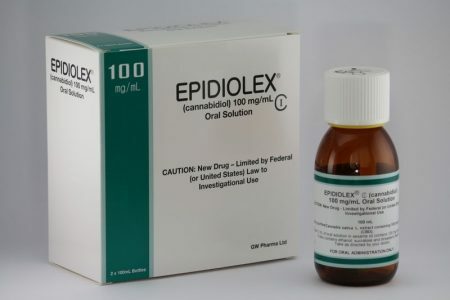 The drug, Epidiolex, a syrup, contains cannabidiol, the cannabis component that has been found to treat certain ailments. In a news release, the FDA stated that cannabidiol does not cause intoxication or a ‘high’. Tetrahydrocannabinol, or THC, is the cannabis component that makes people high, impairs cognition, and can induce paranoia. The approval led, in September, to the Drug Enforcement Agency re-classifying FDA-approved drugs containing cannabidiol derived from cannabis and less than 0.1% THC as schedule V controlled substances. So far only Epidiolex meets these criteria. Cannabis had previously been classified as a schedule I controlled substance, in the same legal category as heroin, LSD, or ecstasy. Epidiolex is now approved to treat two rare, severe types of epilepsy, Lennox-Gastaut syndrome and Dravet syndrome, in patients aged two years and older. It is the first FDA-approved treatment for Dravet syndrome, a genetic condition that appears in the first year of life when babies develop fever-related seizures. Other types of seizures, even including a continuous seizure state, can occur later. Lennox-Gastaut syndrome also develops in young children, usually between the ages of three and five. They have multiple types of seizures with debilitating consequences. In three randomized, double-blind, placebo-controlled clinical trials that included a total of 516 patients with either Lennox-Gastaut syndrome or Dravet syndrome, the drug reduced the frequency of patients’ seizures compared to placebo. Side effects of Epidiolex include sleepiness, sedation and lethargy; elevated liver enzymes; decreased appetite; diarrhea; rash; fatigue, malaise and weakness; insomnia, sleep disorder and poor quality sleep; and infections. 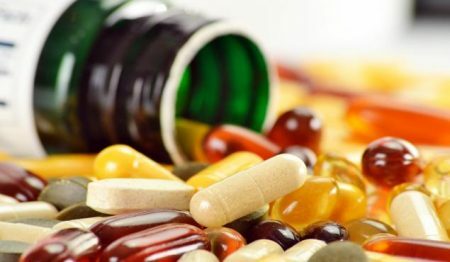 The FDA also warned in its approval that “[a]s is true for all drugs that treat epilepsy, the most serious risks include thoughts about suicide, attempts to commit suicide, feelings of agitation, new or worsening depression, aggression and panic attacks.” The drug is produced by GW Pharmaceuticals, which has already gained approval outside the US for a cannabis-based drug to treat multiple sclerosis. Editor’s Note: It is important for readers to know that most marijuana available in the US contains mostly THC with minimal cannabidiol. A 2017 article by researcher Philip McGuire and colleagues in the American Journal of Psychiatry reports that when added to antipsychotic medication, cannabidiol, a component of marijuana, improved positive symptoms of schizophrenia, such as hallucinations and delusions, more than did the addition of a placebo. In the double-blind, parallel-group study, 43 participants received 1000 mg/day of cannabidiol in addition to their regular antipsychotic medication, while 45 participants received a placebo alongside their regular medication. Side effects were minimal, and after six weeks those who received cannabidiol had decreased positive symptoms and were more likely to be considered improved and not severely unwell. Editor’s Note: It is important to emphasize that cannabidiol is only a minor component of marijuana, which contains much more tetrahydrocannabinol (THC), which is psycho-mimetic, i.e. it can worsen psychosis. Pure cannabidiol is not readily available to the public. Fragile X syndrome is a genetic disorder characterized by developmental problems such as intellectual disabilities, cognitive impairment, and behavioral and learning challenges. Zynerba Pharmaceuticals announced in 2017 that a cannabinoid gel they have produced improved symptoms of fragile x syndrome in children and adolescents when applied daily to the upper arm. Multiple cannabinoids are derived from cannabis plants, and include cannabidiol, which likely conveys some of the plant’s positive effects, and tetrahydrocannabinol (THC), which lends marijuana its psychoactive or psychomimetic effects, such as delusion or delirium. 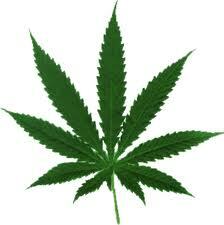 Cannabidiol is the active ingredient in the gel, and no THC was found in participants’ blood tests after using the gel. The open study of 20 patients aged 6 to 17 years found that the participants showed improvement on a scale measuring anxiety, depression, and mood after 12 weeks of using the gel. The gel also appeared to improve aberrant behaviors including social avoidance, temper tantrums, repetitive movements, and hyperactivity. Treatment began at a dose of 50mg per day, and could be increased up to 250 mg per day within the first six weeks of the study. The dose then remained stable for the next six weeks. Zynerba Pharmaceuticals hope to begin controlled clinical trials in 2018, with the goal of attaining approval for the drug from the US Food and Drug Administration. Other companies are also competing to garner the first FDA approval of a cannabis-based drug. Many of the drugs currently in development are intended to target neurological or behavioral conditions. Raphael Mechoulam, who first synthesized THC, the main ingredient in marijuana, gave the history of marijuana and its receptors in the central nervous system in a plenary talk at the 2014 meeting of the International College of Neuropsychopharmacology. In Syria hundreds of years ago the drug was named ganzigunnu, meaning “the drug that takes away the mind.” It has also been called azalla, meaning “hand of the ghost.” Among the 100 compounds in marijuana, the best-known ingredient is delta-9-tetrahydrocannabinol (delta-9 THC), which produces most of the actions of the drug. There is another active ingredient, cannabidiol (CBD), which has calming and anti-anxiety effects, but is present in very low levels. The brain has cannabinoid receptors that respond to ingredients in marijuana in addition to other chemicals produced in the brain. They modulate calcium ions and decrease the release of many neurotransmitters. THC acts at CB-1 receptors, producing the high. The CB-1 receptor is synthesized on demand, post-synaptically, and is transferred to the pre-synaptic terminal where it decreases calcium and transmitter release. Consistent with marijuana’s appetite-stimulating properties (“the munchies”), if the CB-1 receptor is blocked in animals, they lose their appetite and die of hunger. There are also low levels of CB-2 receptors in the brain, whose activation does not cause a high, and whose levels may increase dramatically in pathological situations. Activation of the CB-2 receptor is anti-inflammatory and, in the same way that the immune system acts against foreign proteins, CB-2 acts as a protector against non-proteins. CBD does not bind to any cannabinoid receptors, but its actions are blocked by cannabinoid antagonists. There are two chemicals in the brain (endogenous ligands) that act at cannabinoid receptors—anandamide and 2-arachidonoylglycerol (2-AG). They are soluble only in lipids (not in water), and have never been given to people. In animals, 2-AG has neuroprotective effects, decreases the size of a stroke by 60%, and increases recovery from stroke. 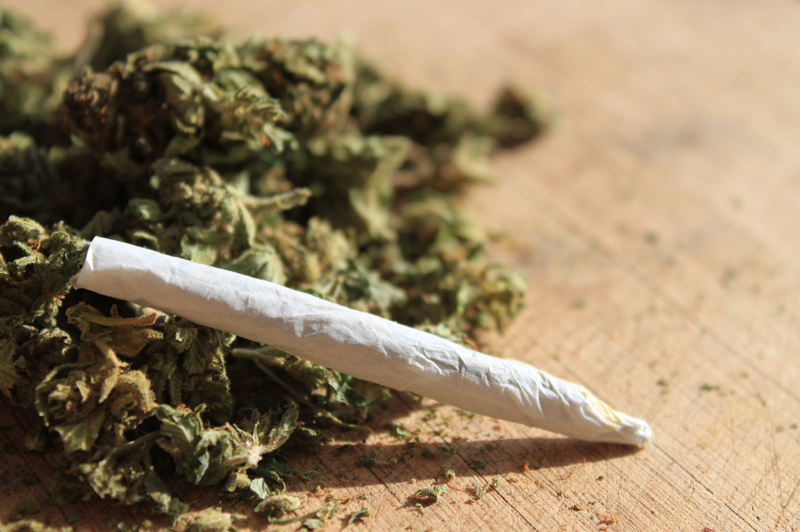 Marijuana and CBD in particular have also had beneficial effects in people. Marijuana decreases the nausea and vomiting associated with chemotherapy in children, has anti-inflammatory effects in rheumatoid arthritis (decreasing inflammatory marker TNF alpha), and has anti-diabetes and anti-convulsant effects. In 2012, researcher F. Markus Leweke and colleagues showed that CBD was about as effective as the atypical antipsychotic amisulpiride in alleviating the psychotic symptoms of schizophrenia. CBD’s other effects include reducing anxiety and improving psoriasis by increasing DNA methylation (Pucci et al. 2013). It seems possible that some of these myriad effects of marijuana and endogenous ligands at CB receptors could be exploited for clinical therapeutics, as Mechoulam endorses, but when and how that will take place remains an unanswered question. Editor’s Note: Despite all these potential positives of CBD, it should be noted that its levels are very low in marijuana, and that heavy smoking of marijuana has substantial adverse effects. These include low motivation, a doubling of the risk of psychosis, a hastening of the onset of bipolar disorder and schizophrenia, and cognitive impairment, as well as some changes in brain structure seen via magnetic resonance imaging (MRI). It may be becoming legal in many states, but is a bad idea for those at high risk for mood, anxiety, or bipolar disorders or for schizophrenia.